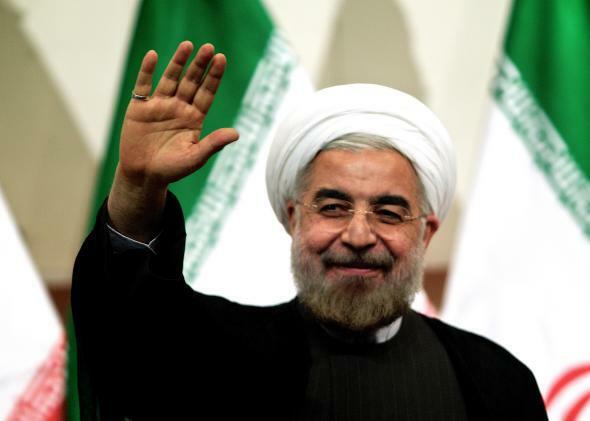 Iran's ruling elite embrace Facebook, while others are arrested for using it. A version of this piece appeared in Global Voices Advocacy. Throughout its 35 years of existence, the Islamic Republic of Iran has not tolerated free expression or public gatherings beyond its control. Facebook offers some semblance of both of these things on an easy-to-use platform. What might Iranian citizens do if granted unbridled access to Facebook? Persecuting—and prosecuting—Facebook users is a way to instill fear in the population. The recent cases provide a chilling example of what could happen to Iranians who try to express their ideas. Of course, there is a history to this. Facebook became a central tool during the 2009 protest movement, as millions of Iranians defied the regime and protested the controversial presidential election. Presidential candidate Mir-Hussein Mousavi, a leading figure in the Green Movement that followed the election, used Facebook to convey his message and communicate with his supporters. Fear of the popularity of reformist candidates like Mousavi on Facebook led to the filtering of the site a month prior to the 2009 election. Four years after the Green Movement was repressed and its leaders placed under house arrest, Iranian authorities publicly denounced Facebook as an enemy of the Islamic Republic. This repression has had double-edged effects. While some netizens stopped blogging because they were jailed, others escaped the crackdowns and moved abroad, only to lose their relevance, as well as their online audience within the diaspora. This helped create the phenomenon know as the decline of bloggers. Facebook quickly emerged to fill this gap, as successful campaigns emerged, often functioning as a bridge between Iran and the diaspora. One popular example of this is “My Stealthy Freedom,” the Facebook page of London-based journalist Masih Alinejad who published a series of photos of herself posing in Iran’s public spaces without a hijab. This started a virtual mass movement, gaining her page more than 500,000 likes and garnering an influx of photos and comments from Iran. This Facebook page became an outlet for Iranian women to challenge the Islamic system’s 35 years of mandatory hijab.